When you need a mid-size truck that has the capacity for full-size work or travel on your next outdoor adventure, you'll love what the 2016 Nissan Frontier has to offer. This newly revamp truck offer by Nissan has enough power to blow the competition away. 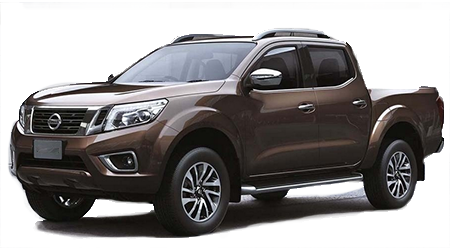 The Nissan Frontier is the thrilling truck you'll love! At Premier Nissan of Metairie, you'll have the opportunity to purchase the 2016 Nissan Frontier for an amazing price. Premier Nissan of Metairie is located at 6636 Veterans Memorial Blvd. in Metairie, LA and serves the following cities: New Orleans, Gretna, Laplace, Mandeville, and Harvey, LA. 2016 Nissan Frontier has a starting MSRP of $18,190. The MPG rating on the Frontier is 19 city / 23 hwy. The 2016 Nissan Frontier has plenty of features with innovative technology offered on all models. IF you're looking to get the most out of the Frontier, you'll love the sliding bed extender, step rails, and a bed tent! Life has never been easier with the 2016 Frontier. There are five models to select from: S King Cab, SV 4-cylinder King Cab, SV V6 King Cab, Desert Runner King Cab, and Pro-4X King Cab. You have a selection of exterior colors to choose including brilliant silver, cayenne red, glacier white, and super black. The interior color has a choice between steel or graphite cloth. The 2016 Nissan Frontier comes equipped with a 152HP 2.5L 4-cylinder engine. Features include 15" wheels, full-size spare tire, chrome grille, upper body-color/ lower black front bumper and chrome rear bumper, black door handles and mirrors, tailgate spoiler, front UV-reducing solar glass, and a rear privacy glass . Interior features on the 2016 Nissan Frontier include variable intermittent windshield wipers, two 12-volt DC power outlets, 2nd-row under-seat storage, four cup/bottle holders, four speakers, optional AM/FMCD audio system optional auxiliary audio input jack, and an optional overhead console with sunglasses storage. The trim on the 2016 Nissan Frontier include forward-facing rear flip-up seats, cloth seat trim, optional preferred package. When you purchase a premium 2016 Nissan Frontier, you're purchasing more power, luxury, and efficiency. Standard features include 16" 6-spoke aluminum alloy wheels, all-terrain tires, full-size spare tire, skid plates (oil pan, fuel tank, 4X4 transfer case), automatic on/off headlights, fog lights, front tow hook, tow hitch receiver class 4, splash guards, satin chrome grille, Body-color front / rear bumpers, Body-color door handles and outside mirrors, dual power outside mirrors, utility-track channel system with four tie-down cleats, factory-applied spray-on bed liner, bed rail caps, locking tailgate and cargo bed light, tailgate spoiler , sliding rear window, front UV-reducing solar glass, rear privacy glass, and rear sonar system. Interior features of the premium models include Nissan Frontier include a rearview monitor, Bluetooth, dual-zone automatic temperature control, in-cabin micro filter, power door locks/ windows , remote keyless entry, cruise control, variable intermittent windshield wipers, auto-dimming rearview mirror with digital compass and outside temperature display, front map lights, three 12-volt DC power outlets, multi-functional trip computer, voltage and oil pressure gauges, sun visors with vanity mirrors and extension, tilt steering column, first aid kit, second-row under-seat storage, driver's seatback pocket, four cup-holders / bottle-holders, overhead console with sunglasses storage, and hands-free texting. Audio features included in the premium Nissan Frontier models include an AM/FM/CD audio system with 5" color display, illuminated steering wheel-mounted audio controls, six speakers, auxiliary audio input jack, USB connection, XM radio, and streaming audio via Bluetooth wireless technology. The trim on the premium Nissan Frontier models include 8-way manual driver's seat with adjustable lumbar support, forward-facing rear flip-up seats, PRO-4X embroidered cloth seat trim, white contrast interior stitching, leather-wrapped steering wheel, leather-wrapped shift knob, chrome vent accents, white-faced gauges with satin chrome bezels, and heated front seats. Standard safety features in the 2016 Nissan Frontier include Nissan advanced air bag system with dual-stage supplemental airbags, driver and front passenger front/side airbags, roof-mounted curtain side-impact supplemental airbags, vehicle dynamic control with traction control system, blind spot warning, rear cross traffic alert, optional predictive forward collision warning, optional forward emergency braking, 3-point ALR/ELR seat belt system, front seat belts with pretensions and load limiters, lower anchors and tethers for children, zone body construction with front/rear crumple zones, hood buckling creases and safety stops, Pipe-style steel side-door guard beams energy-absorbing steering column, and a tire pressure monitoring system with easy-fill tire alert. You can count on Nissan for having amazing safety measures on their cars! If you're looking for an amazing truck that is "all work" and "all play", then you'll love the 2016 Nissan Frontier. Come to Premier Nissan of Metairie for an amazing selection of cars and an enjoyable experience! Premier Nissan of Metairie is located at 6636 Veterans Memorial Blvd. in Metairie, LA and serves the following cities: New Orleans, Gretna, Laplace, Mandeville, and Harvey, LA.